Upgrade JA T3v2 to T3 framework? The docs is for templates developed with JA T3v2 Framework such as JA Zite, JA Travel, etc. Here is the explanation about themes: Base theme and Theme variations - your override theme. Base theme is defined in JAT3 plugin and you're right, it locates in: plugins/system/jat3/jat3/base-themes/. It holds very basic layout design. If you don't want to override one of above file/folder, your override theme will inherit from core plugin. I notice that there are 2 cache settings, one in Global configuration and one in Template setting. Do they conflict when they are both enabled. No, they don't conflict. 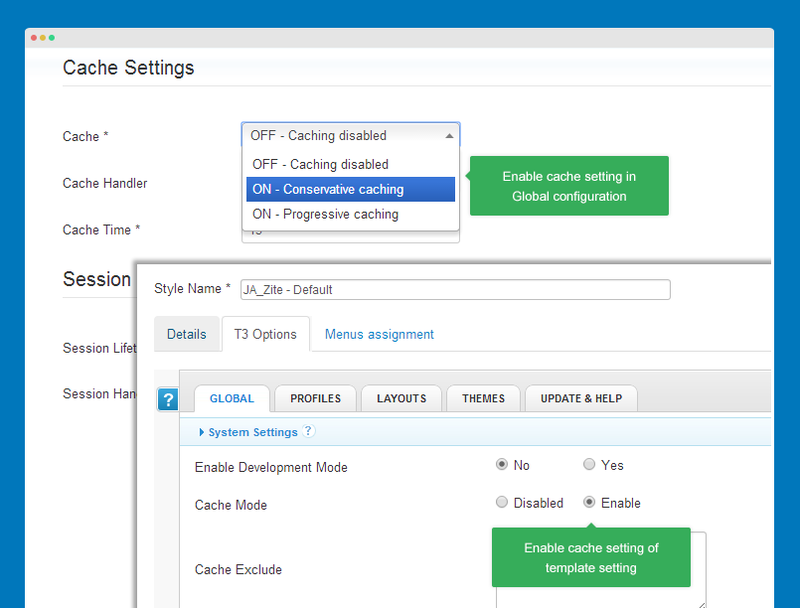 You can enable both Cache setting in Global configuration and in Template setting. Template cache (T3 framework) uses page cache (like System - Cache plugin), meanwhile Cache in Global Configuration is module cache. Even though, these cache modes are different, you can apply both on your site. Check out more information at Joomla caching explained. Conservative level refers to smaller system cache, meanwhile Progressive level (default) is for faster, bigger system cache, includes module renderers cache (however, not appropriate for extremely large sites). 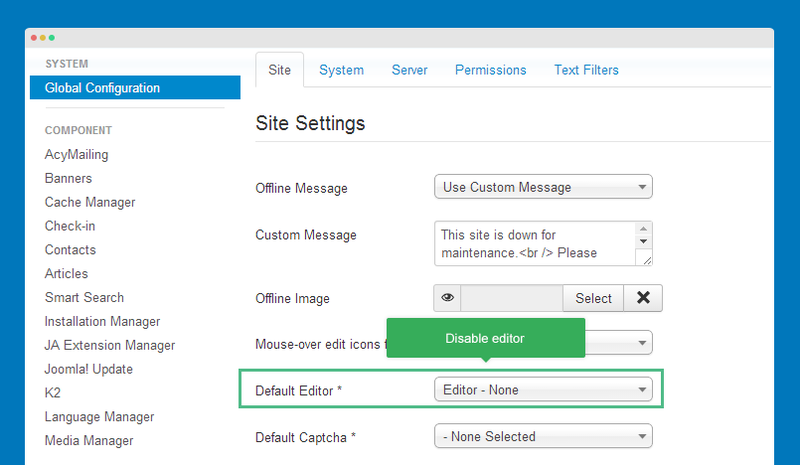 By default, editor like JCE strips some HTML tags, so please go to "Global configuration" and disable editor by setting "Default Editor" to "None". I want to make one menu item invisible, but I want to keep the URL. For main menu ite: open the menu item you want to make it invisible, in the tab "Parameters (JA Extended)", add class to the field "Additional class". In this tutorial, we add class: invisible. Next, open the template.css to add style for the additional class above. For sub-category, do the same way. For example, we add class sub-invisible. So we'll add the following css rule to the template.css. Open the Megamenu setting panel, select the menu item you want to make it invisible then add the following class to the "Extra class" field. For more info, please check the Bootstrap 2 Responsive utility classes. Many users are concerned if they can migrate their JA T3v2 framework templates such as JA Travel, JA Community Plus... to T3 Framework template such as JA Sugite, JA PLaymag... The answer is NO. JA T3v2 framework and T3 framework are independent, the style class system is also different. T3 Framework is developed with LESS and integrates Bootstrap 2 and 3 then it's markup is far different from the JA T3v2 Framework. The templates have different packages, package for JA T3v2 Framework and Package for T3 framework, the 2 packages are different. In other words, they are different templates with same design. How we implement it? We develop it from beginning as any other new template, there is no upgrade or migration. By default, when sharing an article via Facebook, Facebook will get the first image on that article to display as intro image of the Facebook post. Open the templates/your_template/tpls/blocks/head.php file and add the code on the top of the file. 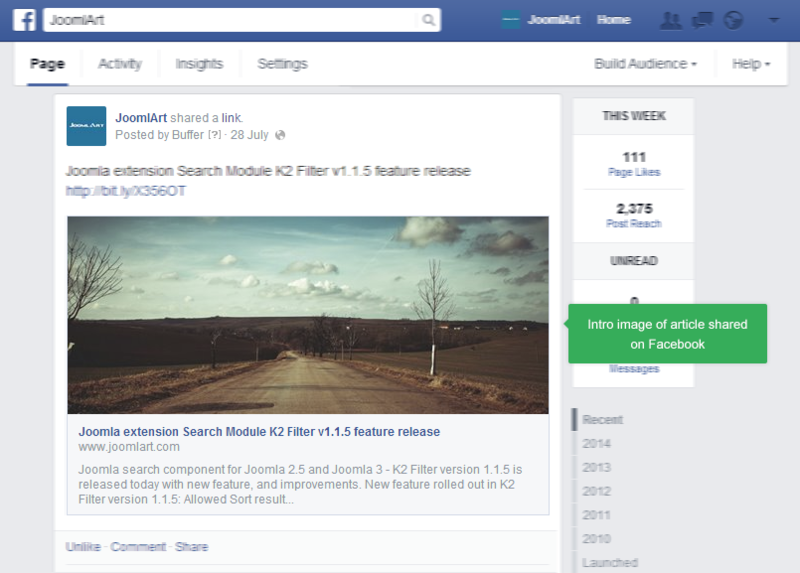 ALL articles you share via Facebook use the FIXED image to display as intro image of Facebook post. You can get more information to share on FB post, supported tags >> this link.